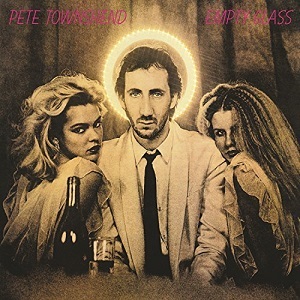 On this day in music history: April 21, 1980 - “Empty Glass”, the debut solo album by Pete Townshend is released. Produced by Pete Townshend and Chris Thomas, it is recorded at Eel Pie Studios and AIR Studios in London from Late 1978 - Early 1980. The first solo release for the lead guitarist and chief songwriter of The Who features songs chronicling Townshend’s personal struggles with alcoholism, drug abuse, and his marriage. It is a critical and commercial success upon its release, spinning off three singles including “Let My Love Open The Door” (#9 Pop) and “Rough Boys” (#89 Pop). In 2006, the album is remastered and reissued with four bonus tracks of demos and songs as works in progress. It is also reissued as a limited edition 180 gram clear vinyl LP in 2017. “Empty Glass” peaks at number five on the Billboard Top 200, and is certified Platinum in the US by the RIAA.